• Gingham summer dress with white ankle socks and black school shoes. • Maroon Dri-Mac padded with school emblem. • Maroon Dri-Mac with school emblem. • Maroon tracksuit top only with school emblem. • Grey pullover/ jersey with/without school emblem. • Maroon School Blazer with school emblem. • Friday wear consisting of black short and maroon/black golf shirt and black school shoes with short white socks. • May come to school bare foot. • School Tracksuit with school emblem grey sock with/without maroon stripes and black school shoes. • Grey pullover/jersey with/without school emblem. • Long grey socks with/without maroon stripes with tracksuit only. • Long grey pants may also be worn with a long sleeve white shirt with/without emblem and grey pullover/jersey, maroon dri-mac or maroon tracksuit top with school emblem. • Friday wear with maroon tracksuit with emblem. NO JEWELLERY EXCEPT WRISTWATCH AND SILVER/GOLD STUDS IN EARS. ONE SET ONLY. • Neat with no dreadlocks. • Braiding is allowed but must be tied back. • No highlights or colouring. • Elastic bands or any type of fastener must be black or maroon. • Shoulder length hair must not be in the eyes or face of the pupil. • No nail varnish except clear varnish. • Short sleeve shirt with/without emblem, grey shorts with long grey socks with/without stripes and black school shoes. • Friday wear consisting of black shorts and black/maroon golf shirt with black school shoes and grey socks. • May come to school barefoot. • Maroon beanie with school emblems. • Maroon Dri=Mac with school emblem. NO JEWELERY EXCEPT A WRISTWATCH. NO PIERCINGS. • No short sides and back with long hair on top. • No designs cut into the hair. • “Pubbies” black short with luminous green shirt and sneakers or barefoot. • “Pubbies” tracksuit with sneakers and socks. • Athletics will be done in Friday wear. • Soccer kit supplied by school excluding socks and soccer boots. Socks must be ordered from the school. • Netball kit for First XI provided by school on a rental. It is a netball dress. Rest of teams in Friday wear shirts with black skirts supplied by the school and trainers. Pupils will be supplied with bibs. • Cricket in Friday wear with kit supplied by school. • Cross-Country in Friday wear with trainers. • Senior school may not wear sneakers with any part of the school uniform. • School uniform may not be mixed with civilian clothes. • On “Civvies’” days pupil must still be neatly dressed. No revealing clothes. • A pupil may wear civilian clothes on his or her birthday. If it falls over a weekend the pupil may wear it on the Friday before or the Monday next. If the birthday is during the holiday the last Friday of the term will be the designated day. • If a pupil is incorrectly dressed the parent will receive a sms. After three incidents a disciplinary hearing may follow. • “Pubbies” tracksuits, shorts and golf shirts must be ordered from the school after the Gr R Open day for the next year. 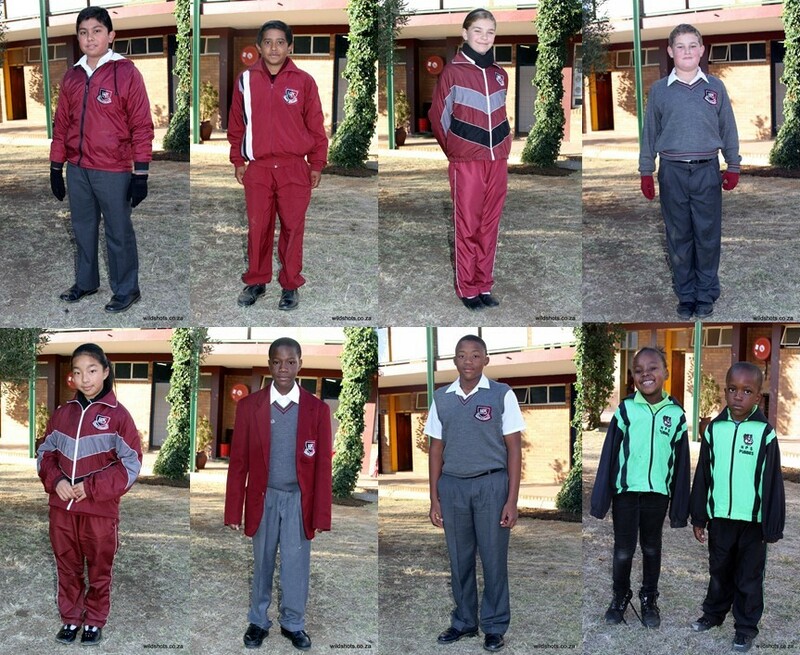 • Maroon tracksuit for Grade 1 pupils may also be ordered from the school after Gr 1 Information evening for the next year at a reduced price. • Long sleeve white shirts, grey pullovers, grey jerseys, grey shorts and longs, grey long socks and ankle length white socks may be bought at any supplier like Ackerman’s, PEP etc.